Like Harry Potter and Twilight before it, The Hunger Games young adult book series has taken off into an unstoppable phenomenon. It tells the tale of a futuristic world in which an unhinged wealthy government lords over its impoverished colonies with an iron fist, annually forcing selected teenagers to battle it out to the death on live TV for entertainment. 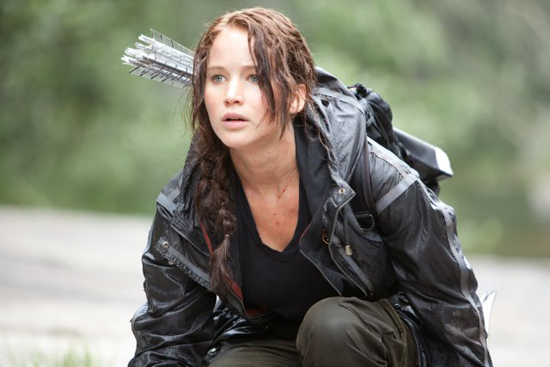 Written by Suzanne Collins, the series has captured the nation's attention and is now being adapted for the screen for a 2012 release. Having obsessively read all three books in rapid-fire succession, I am incredibly excited to see Katniss' story come to life on the big screen, especially with Jennifer Lawrence in the lead role. The Hunger Games doesn't come out until March 2012, so I'm sure there will be a lot more trailers and teasers to talk about in the months to come.